Especially in Team Sports you have a lot of games and competitions and entering each game individually can be pretty annoying. This article will teach you how to import all your games and competitions from one Excel file and upload them to Sportlyzer in just a couple of minutes. In order to import your competitions, you need to have or fit them to a certain format. You should download our sample file to see the exact format and the headers you should use. Now that you have your Excel file in a suitable format, you will learn how to upload your file. Go to the Calendar page and click on “Add”. Add coaches, groups or individual players who will automatically be invited to all competitions, which you just uploaded. NB! If you have multiple teams or groups, please create separate files for each group and upload them one-by-one. This way it will be easier for you to link each competition to the correct group. There are different ways to share your competitions. Invite training groups or individual athletes to your event when creating it. Share individual availability links to your athletes so they can mark whether or not they are able to come to all future events. Read more about it here. If you are part of a club, use the website widgets to put your interactive club calendar up on your homepage. 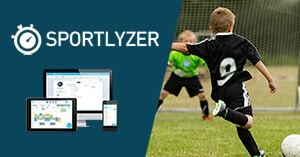 Allow Sportlyzer to send out weekly emails to all of your athletes containing their weekly schedules including their events and competitions.